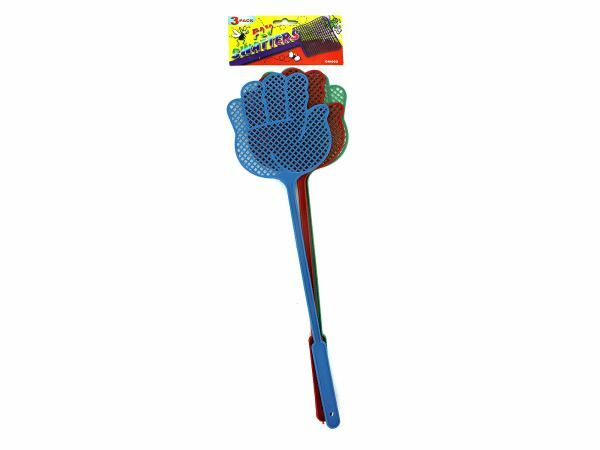 Youll always have a weapon on hand with this 3-piece Fly Swatter Set featuring hand-shaped fly swatters made of durable plastic with vents for quick action. Each swatter measures approximately 16.5 long. Comes packaged in a poly bag with a header card.